internetx.com. 3600 IN MX 30 mx3.internetx.de. internetx.com. 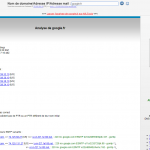 3600 IN MX 10 smtp-in.internetx.com. internetx.com. 3600 IN MX 20 mx2.internetx.eu. internetx.com. 432000 IN NS nsd.domain-robot.org. internetx.com. 432000 IN NS any1.ns14.net. internetx.com. 432000 IN NS any2.ns14.net. internetx.com. 432000 IN NS nsa.domain-robot.org. internetx.com. 432000 IN NS nsb.domain-robot.org. internetx.com. 432000 IN NS nsc.domain-robot.org. internetx.com. 3600 IN TXT "v=spf1 include:stspg-customer.com include:_spf.internetx.com include:_spf2.internetx.com ~all"
internetx.com. 3600 IN TXT "status-page-domain-verification=lyk4qpcm8qjp"
smtp-in.internetx.com. => 62.116.129.40 [DE] <=> smtp-in.mailgate.de. "v=spf1 include:stspg-customer.com include:_spf.internetx.com include:_spf2.internetx.com ~all"
Acceptation de abuse et postmater Le domaine accepte les adresses abuse@internetx.com. et postmaster@internetx.com. v=spf1 include:stspg-customer.com include:_spf.internetx.com include:_spf2.internetx.com ~all"
InterNetX: Domains, Server und SSL-Zertifikate für Profis! 3,8 Millionen verwaltete Domains, über 3.000 gehostete Server und mehr als 40.000 SSL Zertifikate - InterNetX ist ein führender Anbieter im B2B Bereich. 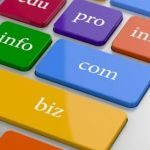 Titre : InterNetX: Domains, Server und SSL-Zertifikate für Profis! 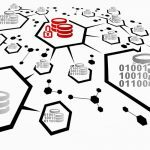 Description : 3,8 Millionen verwaltete Domains, über 3.000 gehostete Server und mehr als 40.000 SSL Zertifikate - InterNetX ist ein führender Anbieter im B2B Bereich.